For today’s deals roundup, we have found a number of deals on Paytm Mall on power banks. The products we’ve listed down below are from brands like Ambrane, Intex, Sony and more. If you run out of your smartphone battery often, then the power bank possibly going to become your best friend. Paytm Mall has a lot of interesting cashback deals on power banks. The products we have found on the platform are from brands like Sony, Ambrane, Intex and more. 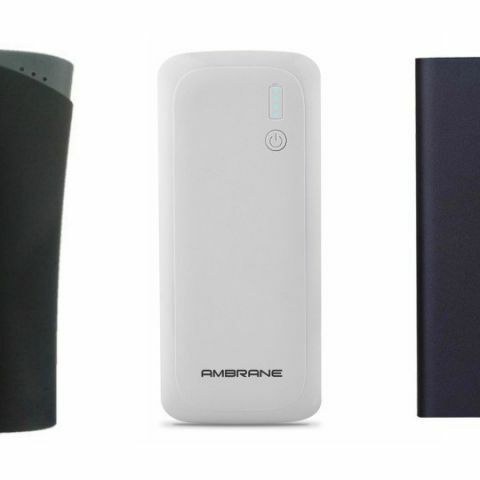 The Ambrane P-1250 12500mAh Power Bank comes with ABS cell-casing technology. The device is equipped with an LED light that indicates the power level of the device. The power bank is protected from over voltage and over discharge as well. As per the company, it can charge your average smartphone up to six to seven times in one go. Click here to buy. The Mi 2i 20000mAh Power Bank features a USB 3.0 interface and is compatible with USB 2.0. The device can charge up to two smartphones simultaneously. However, to utilise USB 3.0 charging, users need to connect only a single device at any given time. The device is protected against temperature, over-charge, over-discharge, over-voltage, and more. Click here to buy. The Sony CP-V10/WC 10000mAh Power Bank comes with a fast charge USB 3.0 port and a USB 2.0 port as well. As per the company, the device can charge an average smartphone up to three times. Click here to buy. The Micromax 10400mAh Power Bank is BIS certified, which means you do not need to worry about the product safety. It comes with an LED indicator that indicates the power left in the device. The power bank can charge up to two smartphones at once. Click here to buy.